Welcome to Part 4 in the series of articles covering the ORAC³ project. Here you will see me beginning what I would call the final stages of the project. This is where the modding of practically every part becomes dependent on the modding of another part, as they all have to fit together like a big 3D Jigsaw Puzzle with space fast running out. 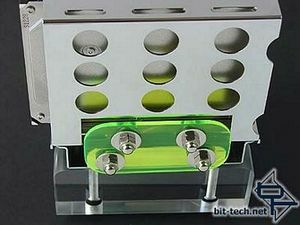 The rack slides sideways off the base when the green acrylic locking piece is removed. 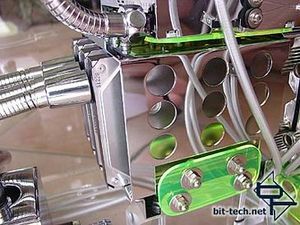 The close-up of the base shows the stainless steel bolts holding the rack to the 1" Lexan blocks. 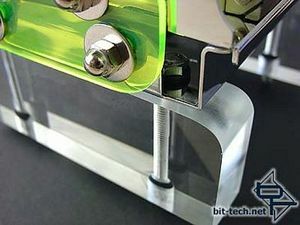 The bolts run through anti-vibration rubber grommets and are secured with recessed nyloc nuts. 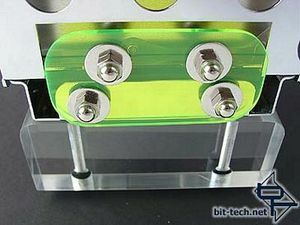 The locking piece bolts on with stainless steel dome nuts and washers and rests against a rubber moulding strip. The whole hard drive assembly is completely insulated from the rest of the case with the only points of contact being the rubber grommets. This is an Eheim 1250 pump modded to fit into a housing for an Eheim 1048. A bit like shoving a V8 into the wife's little Toyota. The pump has been vinyl dyed, stripped, cut, filed and padded with rubber. 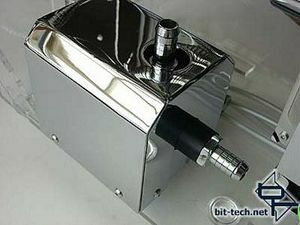 The housing has been ground, drilled, chromed and tapped, the brass ½" barbs have been chromed along with stainless steel round-head socket screws added along with re-wiring the power cable into another shower hose and fitting. 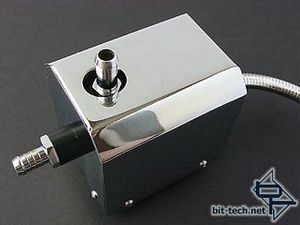 The pump mounted in the case. 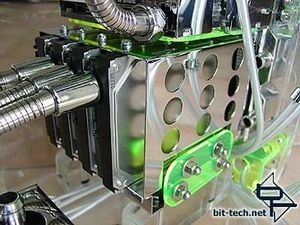 To allow clearance for the PCI Cards, I mounted the pump so it overhangs the floor of the case by 6mm. 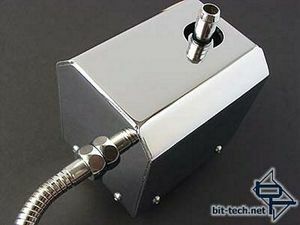 I will be cutting a hole in the side-panel of the case to accommodate it and the end result will have the chrome side of the pump sitting flush with the side-panel. Should look fairly cool. 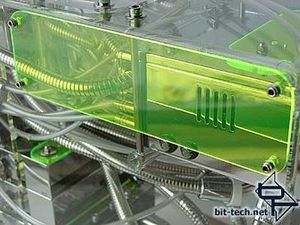 To add a little more interest to the right-hand side of the case I installed a neon green acrylic panel fixed to the inside with stainless steel screws. We've all been there - a great mod, great ideas...and no posts. What's missing? Well, mod-god Pete Dickison of Orac fame is here to tell you: ideas are only as good as how you present them. And he's here to teach you about how to write the project log of your dreams.